Mopane Bush Lodge is a four star luxury safari lodge in northern Limpopo, South Africa. 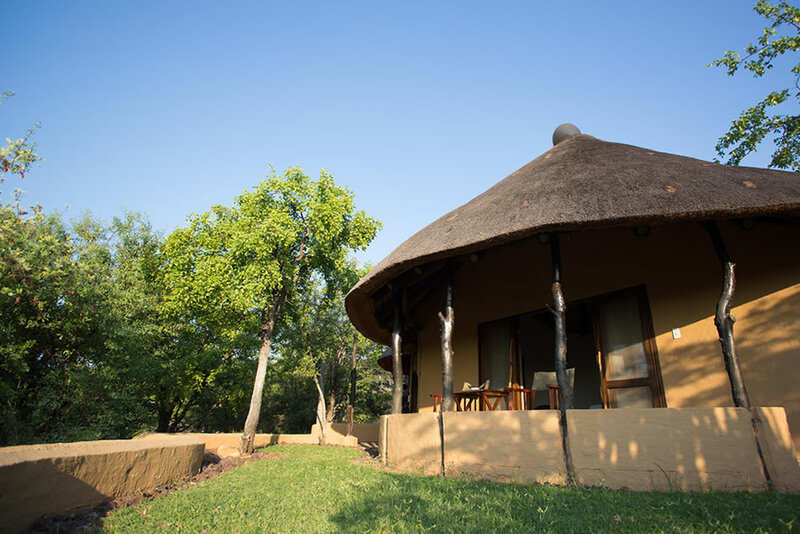 We offer 15 secluded double/twin-bedded thatched chalets with en-suite bathroom, each with its own veranda, additional outdoor shower, and fantastic views of the surrounding bushveld that are unique and private to each chalet. The spacious bedrooms provide a relaxing environment in luxurious comfort, with top quality mattresses and bedding, air conditioning, generous cupboard space, a safe in each room, hairdryer, good lighting over a large mirror at the dressing table, and mini-bar. There is a Nespresso machine and tea/coffee station in every room and free WiFi. Laundry service is also available on request. The lodge pool, situated next to the full service bar and wooden deck is the perfect place to enjoy a revitalizing swim or sun downer while watching the animals drink at the watering hole. A comfortable lounge in this Luxury Game Lodge provides the ideal retreat for those relaxing moments, with a cosy fire for wintry nights. There is a small library with reference books and light reading material for your enjoyment. Delicious meals are delightfully prepared and can be served in our spacious dining room, on the lawn, in the boma around the fire under the brilliant southern night sky, in the lapa around the pool, or in the bush. Send us a note or give us a ring.